Picking a college that is right for you is a hard decision, even if money is not a major concern. Most of the time the choices are limited by funding. Cost usually limits a student to schools within your local state or surrounding states. 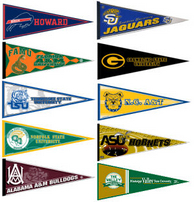 There are several considerations a student contemplates when it is time to select a college. When picking a college you should consider several things in order to make sure you pick the perfect school. Follow these tips to make sure you don't overlook some crucial things when making decision. How close is it? - Do you want to stay close to home or do you want to move far away. This is a decision which is up to you, remember that the further you move away you'll most likely encounter additional fees including out of state tuition as well as the transportation and hassle to move your stuff there. Is your major offered or is there a program for it - If you know you are going to pursue a goal in engineering it would probably be best to go to a school that is known for it. Otherwise it won't be as transferable nor will it be as admired by future employers. Is it friendly - This really depends on how people who interact with you treat you. It can easily very from school to school. Is religion important - If religion is a necessity in your everyday life. If it is, there are several private schools out their that will fit your needs. For profit/non-profit - There are still thousands of schools out there that are for profit. This means that they are making money off their students. Most likely you shouldn't pick one of these as they are trying to run a business are don't care about you as much. Check out the professors- Look up your school and see if they hire reputable professors. Small or big - This plays a huge role in how you are taught at a university. Most big state universities you'll have hundreds of people in your class. A smaller school will never have over 100 people in one class. This allows for a lot more one on one time as well as easier help during a large lecture. Free time - What do students do for free time at this particular school. Do you enjoy doing these same things or would you not like it. For instance, if the school is next to the beach it is probably a regular occurrence to go there. Before making any decision tour the school. Every college offers free tours that they give almost on a daily basis. This allows students to tell if they will like it or not. Your about ready to spend a lot of money on your education and you might as well not draw out of a hat and pick it. If you spend some time now, it will save you a lot of time, money and hassle later.